Function: Stimulates the Kidney function of reception of Qi, subdues rebellious Qi, stops cough, calms asthma, resolves phlegm. Indications: Cough, asthma, chest pain. Function: Abdominal pain and distension, indigestion, vomiting, diarrhea, nausea, morning sickness. Indications: Courses the Liver and rectifies Qi, fortifies the Spleen and harmonizes the Stomach, clears abdominal heat. 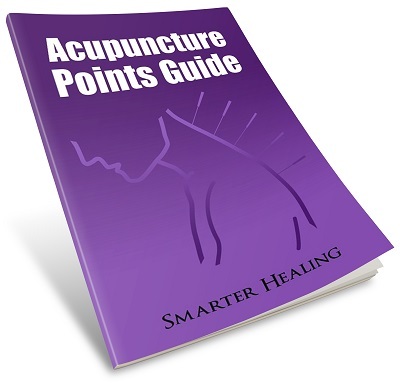 Function: Fortifies the Spleen and harmonizes the Stomach, loosens the chest and rectifies Qi. Indications: Abdominal pain and distension, vomiting, indigestion. Function: Fortifies the Spleen and harmonizes the Stomach, regulates Qi dynamic and frees abdominal Qi, regulates the Penetrating and Conception vessels. Indications: Borborygmus, abdominal pain, epigastric pain, constipation, vomiting. Function: Fortifies the center and harmonizes Stomach, frees intestines and abducts stagnation. Indications: Vomiting, abdominal pain, constipation, postpartum abdominal pain, sterility. Function: Fortifies Spleen, disinhibits damp, soothes sinews, quickens the connecting vessel. Indications: Abdominal pain, diarrhea, constipation. Function: Removes obstructions from the channel, tonifies the Kidneys, benefits the Heart. Indications: Abdominal pain and distention, vomiting, constipation, diarrhea. Function: Promotes the function of the Intestines, clears heat, regulates Qi, relieves retention of food. Indications: Abdominal pain and distension, borborygmus, pain around the umbilicus, constipation, diarrhea, dysentery, irregular menstruation, edema. Function: Nourishes the Kidney channel, regulates the Penetrating and Conception vessels, disinhibits the Lower Energizer. Indications: Irregular menstruation, abdominal pain, constipation. Function: Supplements Kidney Qi, regulates the Penetrating and Conception vessels, promotes free flow through the waterways. Indications: Abdominal pain and distension, diarrhea, nocturnal emission, irregular menstruation, dysmenorrhea, postpartum abdominal pain. Function: Supplements Kidney Qi, regulates the Penetrating and Conception vessels. Indications: Nocturnal emission, impotence, morbid leukorrhea, pain in the external genitalia, prolapse of uterus. Function: Boosts the Stomach and disinhibits damp. Indications: Fullness and pain of the lower abdomen, dysuria, enuresis, nocturnal emission, impotence, pain of genitalia. Function: Regulates Stomach Qi, regulates the Penetrating Vessel, promotes essence, tonifies the sea of nourishment, regulates blood. Indications: Abdominal pain, borborygmus, hernia, swelling and pain of the external genitalia, impotence, dysmenorrhea, irregular menstruation. Function: Tonifies the Kidneys, benefits essence, strengthens the lower back and knees, regulates the uterus. Indications: Sore throat, toothache, deafness, tinnitus, dizziness, spitting of blood, asthma, thirst, irregular menstruation, insomnia, nocturnal emission, impotence, frequency of micturition, pain in the lower back. Function: Tonifies yin, clears heat, subdues wind, subdues empty-heat, calms the mind, restores consciousness, clears the brain. Indications: Headache, blurring of vision, dizziness, sore throat, dryness of tongue, loss of voice, dysuria, infantile convulsions, feverish sensation in the sole, loss of consciousness. Function: Tonifies Stomach and Spleen, regulates the Penetrating Vessel, stops bleeding, dispels fullness, pacifies the Stomach, removes obstructions, regulates menses. Indications: Gastric pain, vomiting, abdominal pain and distension, diarrhea, dysentery, borborygmus.